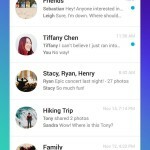 Yahoo Messenger has been completely redesigned. It not only looks different, but adds tons of new improvements such as Flickr, Tumblr, and Xobni integration. What is cool about integrating other services into their messaging app is you can do things like send hundreds of Flickr photos at a time. If sent in a group chat, these photos will appear in everyones conversation right away. You can even download the photo in its full resolution. Another cool feature is unsending messages. Once you click “unsend”, the message will disappear from not only yours, but other peoples chats too. However, if you are happy with what you wrote, others can “like” your comment, photo, or GIF image. Speaking of GIFs, rather than sending an emoji, why not send a GIF? In Yahoo Messenger you can search for the perfect GIF to send right inside the app. The images are pulled from Tumblr, so there will be no shortage of content. Everyone has heard of a contact list, but have you heard of Smart Contacts? Smart Contacts not only knows the names of people, but also their relationship to you and others on your list. This is great for adding people to group chats as it will already know who might need to be added. Also, anyone in a group can add another participant, change the name of the group, or even change the group photo. All of this sounds like a lot going on, but do not worry, Yahoo Messenger is fast! Doing things like syncing conversations between Yahoo Messenger on the Web, in Yahoo Mail and your smartphone happens almost in real-time. Finally, you can even use the app when you are offline. 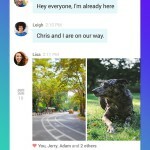 Write whatever you want, or send any picture you would like, and your messages will be sent the second you connect back to the internet. 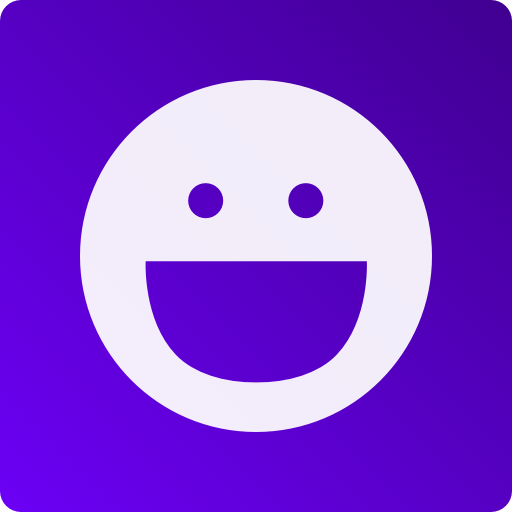 The new Yahoo Messenger is available globally today on iOS, Android, on the Web and in Yahoo Mail on the desktop.